Dhani Harrison rozmawia z internautami o płycie Brainwashed. Rozmowa Dhaniego Harrisona z fanami. DishDiva says: Dhani, thanks for joining us this afternoon from London! Dhani_Harrison_Live says: Hello to everyone out there! DishDiva says: Let's get started! Dhani_Harrison_Live says: That's a tough question. I'd say probably when I grew up it was Little Richard, Jerry Lee Lewis, Chuck Berry, and a bit of Buddy Holly thrown in there, just to start off. That's just to get started. TallNVBlonde in Onstage1 asks: Thank you so much for the gift of "Brainwashed," Dhani, it's fantastic. Do you have a favorite track? Probably "Brainwashed" itself because it says what needs to be said and it's true to life. Not that people like that sort of stuff, but I do. littlennc in Onstage1 asks: Besides your dad, who is your favorite Wilbury? DishDiva says: As you know, Tom Petty will be joining us later this afternoon. Dhani_Harrison_Live says: No disrespect to any of the other Wilburys, not to Jeff or Roy or any of the Sideburys, but definitely Bob. Definitely Bob without a doubt and I think everyone would understant why I say that. gh_extratexture_1975 in Onstage1 asks: Will the proposed George Harrison Anthology boxed set come out? Dhani_Harrison_Live says: Yes it will but not for a while. I need a holiday first. Lucas8290 in Onstage1 asks: Hi Dhani! Back in 2001 it was said that George had been working on more than 25 tracks. 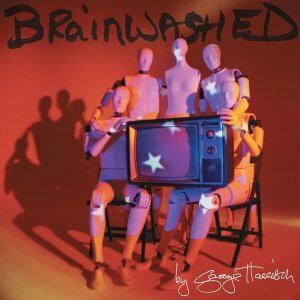 What happened to the rest of the tracks that weren't included in "Brainwashed"? Dhani_Harrison_Live says: Someone completed somewhere and some that reported to exist, don't, and there are some that people haven't heard and they exist. Stuck_inside_a_cloud in Onstage1 asks: Dhani, how does your dad's spirituality affect your beliefs? Dhani_Harrison_Live says: I believe that same, fundamentally the same. JaiGuruDeva80 in Onstage1 asks: Great job on the album - it's priceless! Do you think your father realized the impact he had on so many lives (outside of being a Beatle)? Dhani_Harrison_Live says: In one way yes, but no, I don't think he could have ever realized how much of an effect he had. We're still realizing this every day. swarlock64 in Onstage1 asks: Will you be particpating to The Albert Hall Concert for your father, Dhani? Dhani_Harrison_Live says: Yes. I will. That's why I have to get to bed soon, to reherse tomorrow morning. Ignacio98571 in Onstage1 asks: Hello Dhani! Like All things must pass, the other george albums will be remastered?, and when? thank you!!! 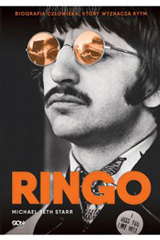 Dhani_Harrison_Live says: Maybe just re-released, and soon hopefully. manutdrock4eva in Onstage1 asks: What do you think is your father's best ever recording? Dhani_Harrison_Live says: I couldn't give a particular example but some of my favorites are like "A Little Too Much" from the "Yellow Submarine" soundtrack. I think "Blu Jay Way" and "The Inner Light." I can't choose between them. Lucas8290 in Onstage1 asks: Is it true that your father told you to "never be famous"? Dhani_Harrison_Live says: Well, yes. Yes. (laughs) Always and I don't wish to be. Acacia12232 in Onstage4 asks: did you ever feel pressure to live up to the high expectations from fans for your father's last record? Dhani_Harrison_Live says: Yeah. Well, more the pressure of, you know, living up to my own expectations as to how I would present his last record. I'm more worried about what my dad would have thought rather than what the public thinks. I wanted to make it right for him. So those expectations of ruining a George Harrison record. But he's dead so I don't think the public expected a record from him, so it's sort of a gift. DeadDogsEye in Onstage4 asks: Was your father happy with the way "Free As A Bird" and "Real Love" turned out? Dhani_Harrison_Live says: Yeah I think he was, he definitely was. Considering what they were working with, in terms of the materail they had left to work with after John left, which was really scratchy, the way it turned out was great. Jeff Lynn did a great job on that. lizlondon9 in Onstage3 asks: Will you play guitar at the tribute concert, and if so, will it be one of George's? Dhani_Harrison_Live says: Yes and yes. Maryann1408 in Onstage1 asks: It's been a tough year for you, and look at the wonderful thing you have done. Has the music helped you and your mom cope through all of the "bad" stuff ? Dhani_Harrison_Live says: Definitely. Definitley, without music, I'd go nuts. Not just his music, all music. Not just me, but all my friends too. I think we would have lost the plot long ago without music. mihowek in Onstage3 asks: Will there be a video collection ever of your dad's wonderful music? Dhani_Harrison_Live says: Hopefully, if we can sort it all out, it will take a while. As I said before, having a holiday first before I attempt any DVD remastering. clargigi in Onstage3 asks: Hello Dhani~Can you tell us a little about the album cover and who designed it? Dhani_Harrison_Live says: My best friend who I work with and myself we designed the album cover based on ideas that my father had talked about. His name is Oli Hecks, we designed it together. BlackLady100 in Onstage3 asks: Will there maybe be more new recordings/songs by your dad coming out? He once told he recorded Every Grain Of Sand (Dylan) and about a possibly release of an outtake album? Dhani_Harrison_Live says: Eventually, once I get a holiday. gh_extratexture_1975 in Onstage4 asks: Will there be any videos for Brainwashed songs? Dhani_Harrison_Live says: Yes. There will be. Hopefully we'll release "Brainwashed" as a single, possibly "Stuck Inside a Cloud," hopefully it will be coming out soon. LittleLabi in Onstage4 asks: How many different guitar tracks did you have to splice together for Marwa Blues? Dhani_Harrison_Live says: There were 4 takes and of that 2 weren't usable. So it was a sort of, the real essence of the song lay in one track and there were accompany harmonies from two other tracks. It wasn't a composite, it was a take. German_Harret in Onstage4 asks: I THINK THE PACKAGING OF DE LIMITED EDITION IS GREAT TO. DID YOU DESIGNED IT TOO? AND DOES THE DVD COMES JUST WITH THE EPK OR IT HAS SOME EXTRA VIDEOS? Dhani_Harrison_Live says: No, the DVD is purely the EPK. There isn't extra footage on it, sorry, but thanks for digging the artwork. TallNVBlonde in Onstage1 asks: Dhani, I've heard rumor of another Wilbury album. Any comments? Thanks, love and best wishes! Dhani_Harrison_Live says: No, sorry, wish there was. maccarocks in Onstage3 asks: I know your dad was a big Monty Python fan. Were there any sketches he'd quote around the house? Dhani_Harrison_Live says: He always liked the fish slapping dance and, "When You're King of Bloody France." That one. And Philosopher's football. jeffhoo61 in Onstage3 asks: I'm curious, what guitars did you and your father use on the recording of the CD? Thanks. Dhani_Harrison_Live says: High strung minature acoustics, there were some custom ones. I played a Fender Telecaster, dad played his old psychedelic Strat, and lots of big acoustics, and Zematis. ChristianIsraelite in Onstage3 asks: Dhani, what sort of music do YOU listen to and enjoy these days? Dhani_Harrison_Live says: New stuff: I love (where do I start?) I love the Foo Fighters, Prodigy (I'm more a fan of their old stuff), Red Hot Chili Peppers, Nirvana, Beck (I love Beck, he's really doing something different), I'm also a fan of a lot of sort of English underground dance music, stuff that came out of Massive Attack like Tricky, and stuff that he's done lately, some dark stuff, like Aphex Twin. That's about it for now. DishDiva says: Dhani, the last question for the evening. . .
Dhani_Harrison_Live says: Old stuff: Jimmy Hendrix, Beatles, James Browne, Nina Simone, The Kinks, Velvet Underground. bhcjeff in Onstage4 asks: Dhani how did you like Brown University and your time in America? Dhani_Harrison_Live says: Good times. Good times. University of Please Yourself Rhode Island. (laughs) No, but seriously it was hard. A lovely place. DishDiva says: Dhani, I appreciate you staying up with us tonight as you shared your insight into your father's new CD "Brainwashed." Dhani_Harrison_Live says: Take it easy out there, everyone, try and be happy and all get along. I've got to go to bed now because I've got to go and rehearse in the morning. So night, night, and God bless. DishDiva says: Thanks to Dhani Harrison for being our guest this afternoon.